This article first appeared on the Total Landlord Insurance website. Those entering the buy-to-let business for the first time have been advised to use the services of a lettings agency. An agency can help inexperienced buy-to-let property owners understand their options when it comes to paperwork and organising financial protection such as contents insurance cover. With the current housing market making it difficult for many who would like to sell their home to find a buyer and the soaring demand for rented accommodation, a large number of people are instead opting to let out their property as a profitable alternative to selling. However, those who take this option will often have no experience of being a landlord and will have limited knowledge of the practical and legal considerations that need to be made. Therefore, according to Dominic Preston, barrister and housing law specialist with Doughty Street Chambers, it is often a good idea to use the services of an agency. 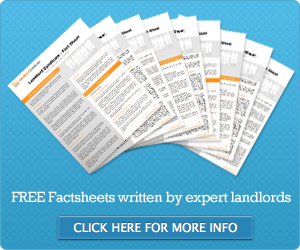 The government recently published a series of factsheets offering advice to both landlords and tenants in the private rented sector. They include tips on finding a suitable lettings agency, as well as information on legal requirements and advice on how to resolve disputes with tenants.